NEVER MAKE A PROMISE…Robson Trowbridge, the Alpha of Creemore and my gorgeous mate, tries to protect me, Hedi Peacock, half-Fae, half-were, from all the trouble I get into. The thing is, my past is pretty messy and bad guys keep knocking down my door. Witches, thug bikers, the North American Council of Weres, dark magic Fae, and even an evil wizard are all after me. The Old Mage is the only one I really care about: He has my dear twin brother captive on the other side of the Gates of Merenwyn—not cool. So my alpha love is helping me to keep my promise to free my brother…YOU CAN’T AFFORD TO KEEP. me too and the book is also amazing! 3 series from my wishlist, I hope you enjoy them Melliane. 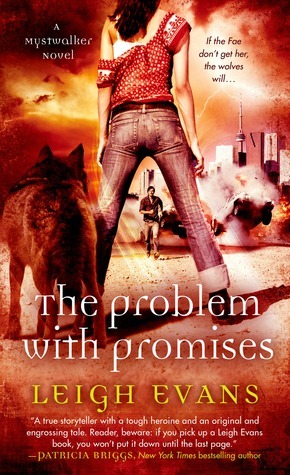 Je trouve la couverture de The Problem with Promises vraiment magnifique ! Nice haul, Melliane, these are all series I am interested in reading, and the covers are beautiful! I can’t wait to read your reviews, so that I have a good excuse to push them up on my TBR a little. J’aime beaucoup la couv d’immortal hunter. Very nice! I especially love the fact that you have Stone Cold which I am eager to pick up! Hope you have a fantastic weekend of reading and fun! Nice! Hearing a lot of good things on the Winner’s Curse! And I still have to read Hell Bent! So behind! I really want to read The Winner’s Curse! I hope you enjoy it. I’m really intrigued by The Winner’s Curse. I can’t wait to get my hands on it. I really want to read The Winner’s Curse! The cover is amazing and the summary sounds so good! Thanks for stopping by mine, have a great weekend! Wait a minute Immortal Hunter is out. I so want that book. Awesome haul Melanie. I’m glad that you got The Winners Curse Been hearing such great things about that book. Thanks for stopping by my STS! I received The Winner’s Curse too! Reviews have been incredible so I can’t wait to start it. Happy reading! My STS, if you’re interested. 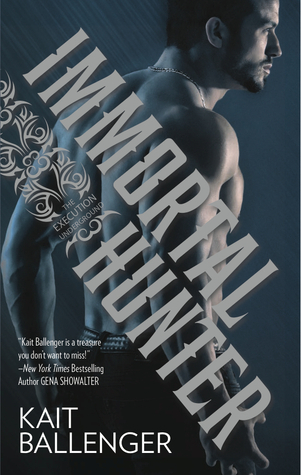 I love the cover for Immortal Hunter! What a great cover! I have to check it out and put it on my TBR list! The Winner’s Curse looks and sounds good to. Thanks for stopping over at my STS this week! I have book one in the Broken Magic series on my TBR pile. Love your collection this week and thanks for visiting. Wow, love your books, Melanie! I’m dying to read The Winner’s Curse. And I really want to read the Stone Cold series. Thanks so much for visiting! I am jealous of The Winner’s Curse. I really want that book so badly. I have heard such great things about it. Great haul, enjoy them! And thanks for stopping by The Cover Contessa! The Winner’s Curse is on my TBR list. I love the cover and the synopsis sounds great. I hope you enjoy all of your new books and thanks for stopping by my STS!! 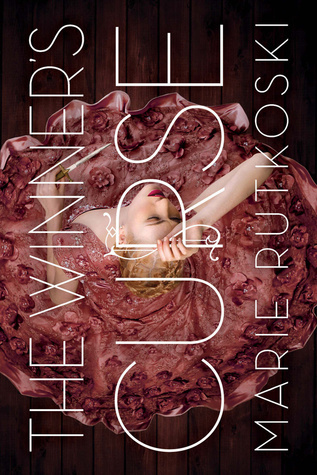 The cover of The Winner’s Curse is gorgeous!!! I hope it reads as good as it looks 🙂 Thanks for stopping by Book Sojourner! I want to read Winner’s Curse so bad. Enjoy! I hope you can stop by mine. All of these look and sound good. I am loving all the smexy cover;) I hope you enjoy all your new reads. Oh Gosh! The Winner’s Curse! *fangirls endlessly* I so want to read that and I’m only hearing good things about it! XD My StS! I’ve been wanting to read Winner’s Curse for awhile now! Hope you enjoy them all & Happy late Valentine’s Day! The Winner’s Curse is so gorgeous! Hope you enjoy all your books! 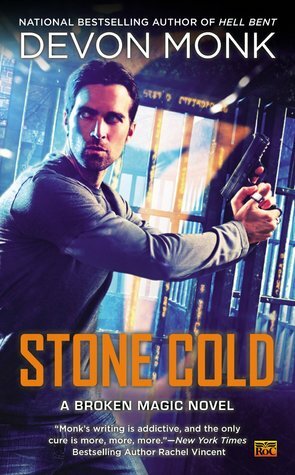 Hmm, Stone Cold looks interesting – I think I have the first book cued up for a read. Here are my new additions. Squee! The Winner’s Curse looks fabulous. I love the cover of Winner’s Curse. Great haul. Enjoy your books. 🙂 Thanks for stopping by my StS. Great haul! OMG THE WINNER”s CURSE! I AM SOOO JEALOUS! I hope you enjoy your books! I haven’t heard of any of these, but they are all interesting. I’m particularly intrigued by the Execution Underground series. Thanks for sharing and happy reading! Nice haul! Haven’t heard of any of these, but have added several to my wishlist. Especially like the sound of Immortal Hunter. Happy reading! oh you also got The Winner’s Curse?! hope you enjoy it! yeah the publisher sent me a book, I just loved it. I started reading Winner’s Curse today and so far, so good. Awesome haul! So envious of The Winner’s Curse. Oh a couple completely new books there! And I’m looking forward to Immortal Hunter. 🙂 Have a great week dear. Great haul, I’m hoping to read all these books/series eventually. Especially The Winner’s Curse! Love the sound of that one! Woah, Immortal Hunter, you look very, very good haha!